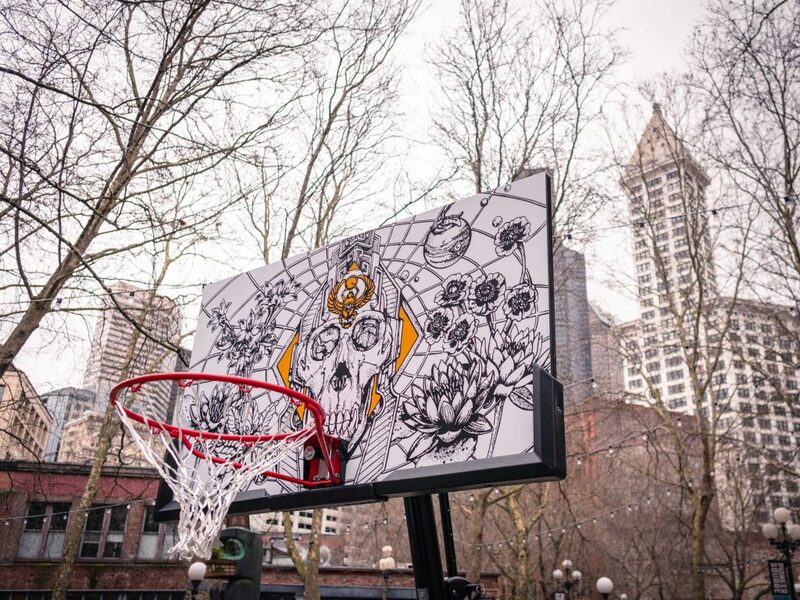 New basketball hoops have been installed in Occidental Square with backboards designed by local Seattle artists Ten Hundred and Leo Shallat. 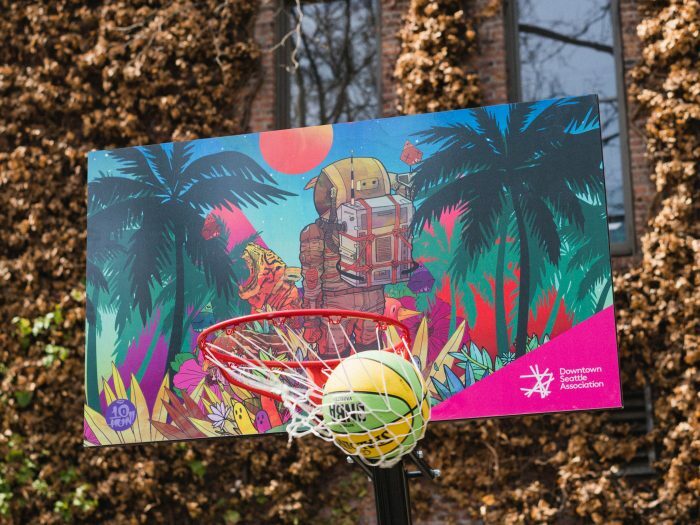 We believe there should be free, accessible public recreation throughout downtown, and these hoops represent a small part of that mission. 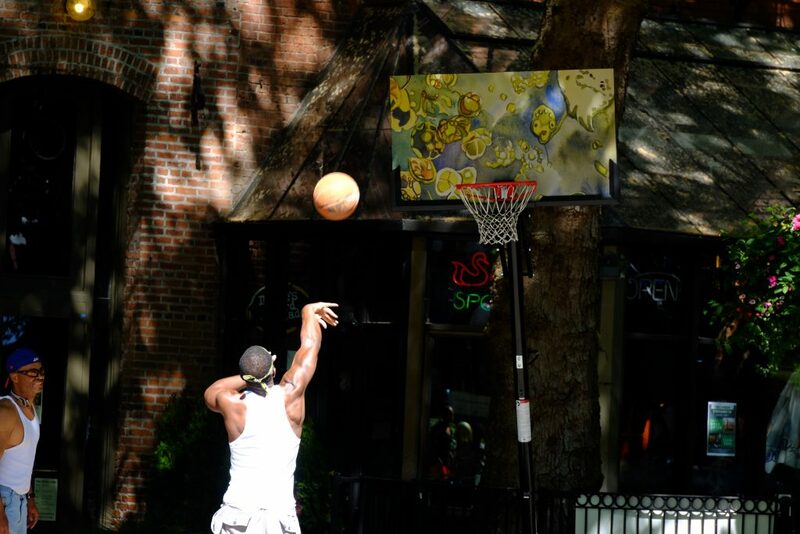 We also wanted a way to showcase local talent for all park visitors to see. Stop by the park now and show off your moves! Just no dunking, please. Dogs or other pets that are not leashed; person with dog must carry and use equipment for removing feces. Amplified sound without a permit. 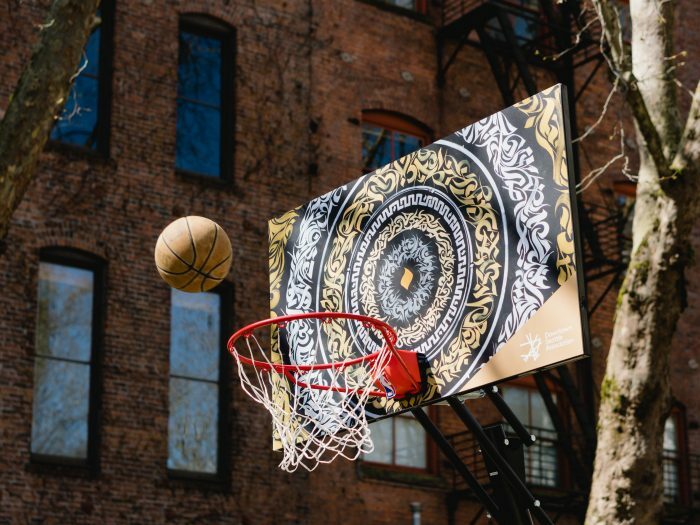 Disrupting Parks and Recreation activities.